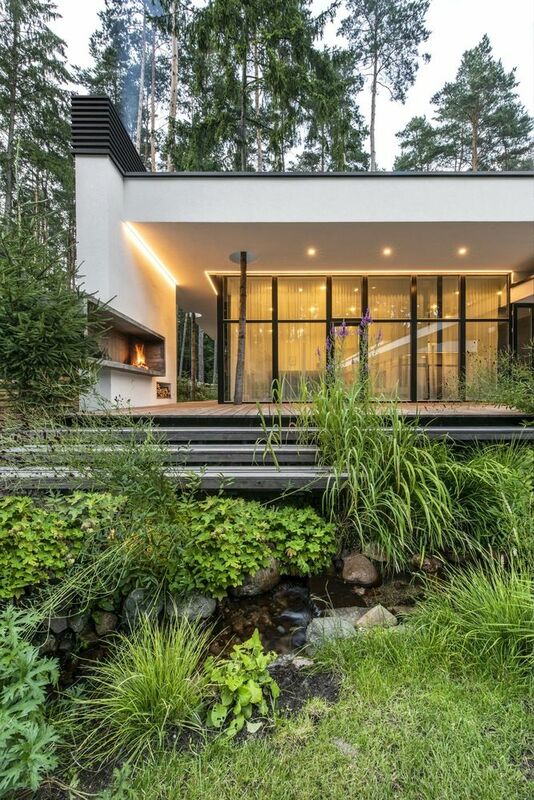 The owners of this modern new house located in Vilnius, Lithuania always wanted to live of a property with a small river or creek so they would be able to enjoy nature and to become a part of it. 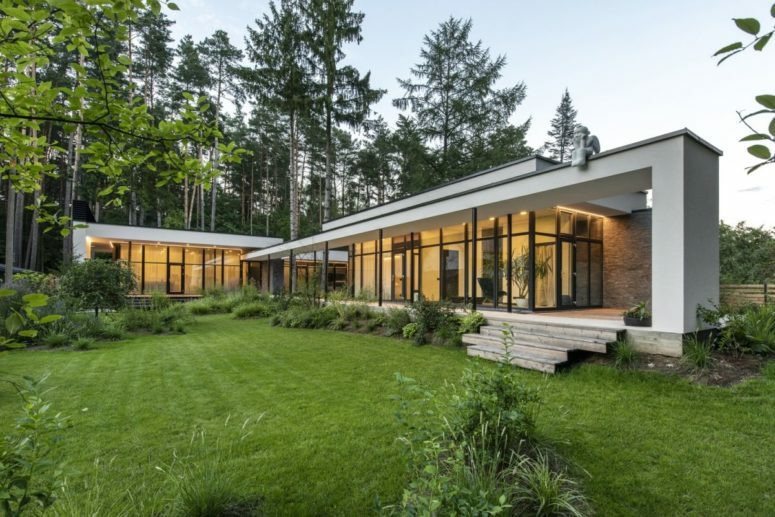 Their dream came true when ArchLAB studio completed this home surrounded with pine forests on two sides and with a river running through. 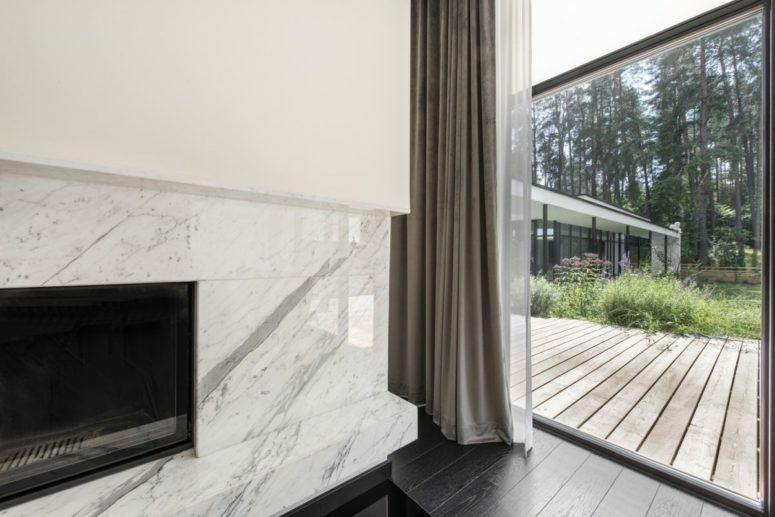 The overall architecture and design of the house are simple and reduced to a few main materials including stone, wood and glass. 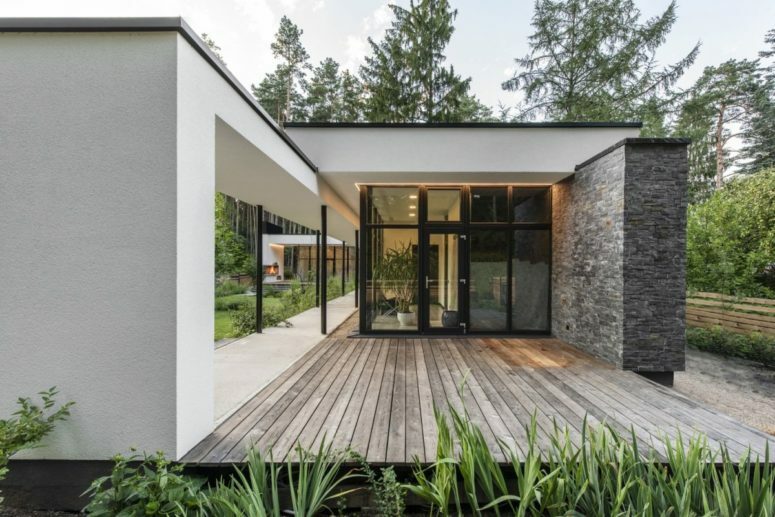 There are two main volumes connected with a bridge: one is the main home with all the major spaces and common features and the other one is a small guest house. 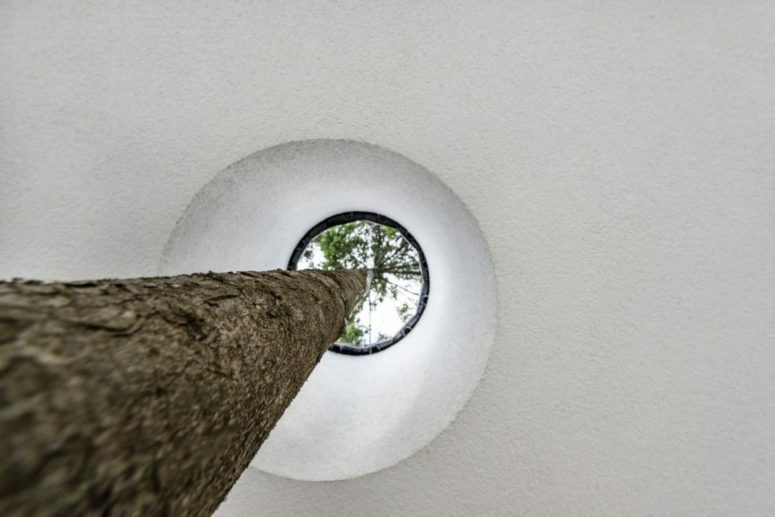 The architects incorporated the existing trees right into their design, allowing them to pass through the roofs, which is a great idea to feel a part of nature. 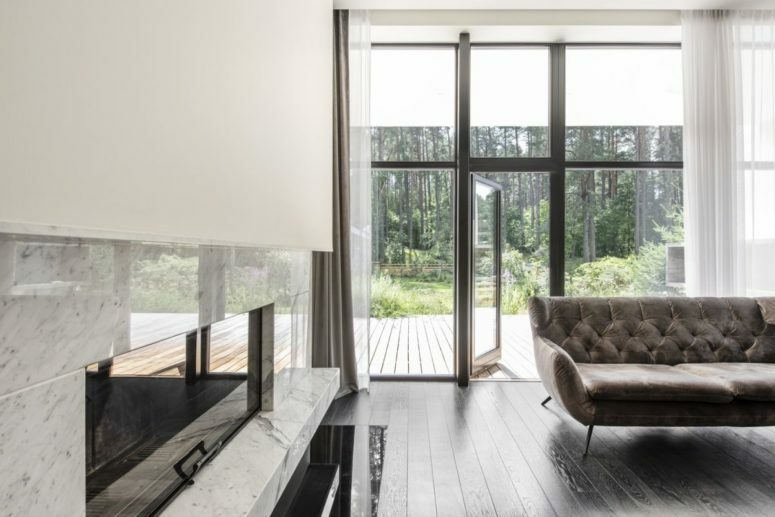 Both volumes of the house offer a perfect combination of indoor and outdoor features, with a focus on comfort and tranquility. 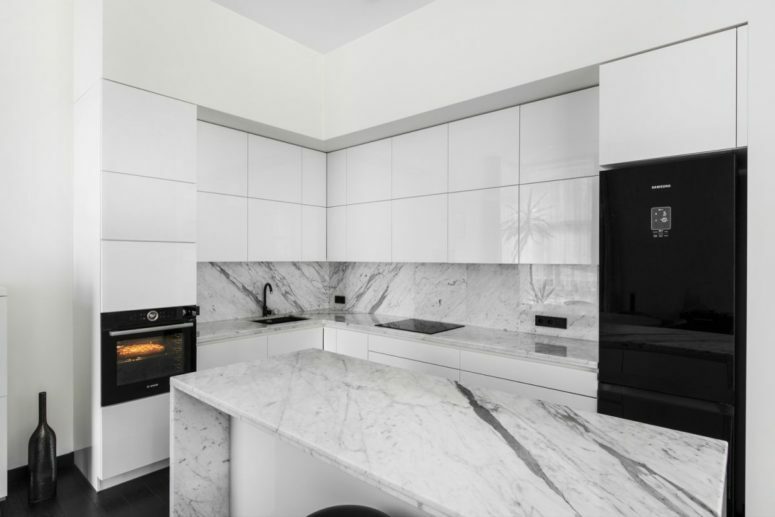 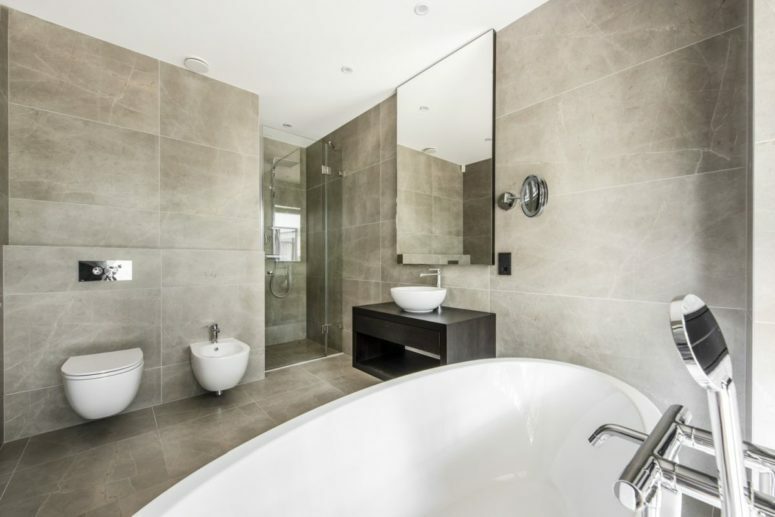 As far as the interior design is concerned, the house is simple, refined and full of cool and elegant features such as marble kitchen island and matching backsplash, an open fireplace, sleek platform beds and a round bathtub. 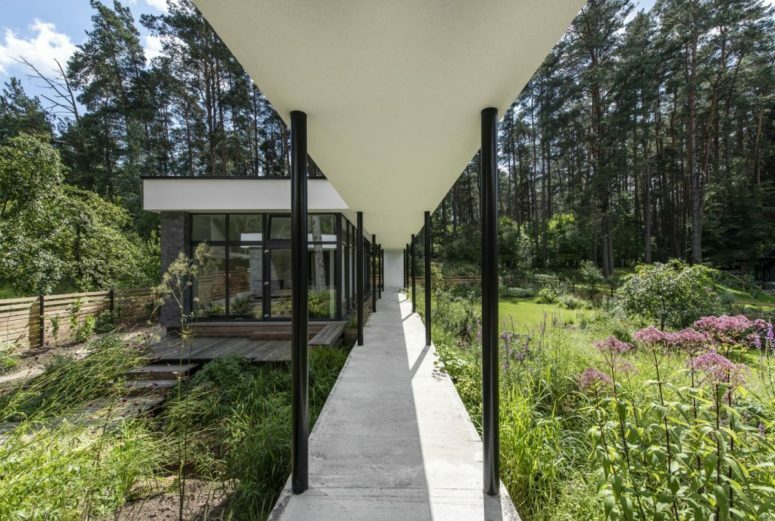 Large windows and open layouts immerse the two volumes into the surroundings, bringing the outdoors in. 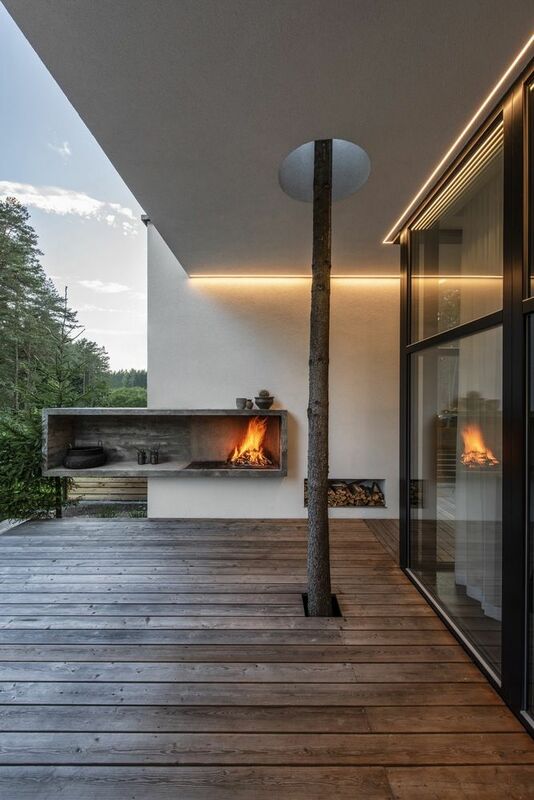 The simplicity of the interior design allows the focus to be on the views and on the serene ambiance.